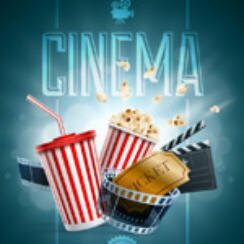 It’s that time of the week when we take a quick look at what films are hot at the UK cinema box office, these figures are for UK Cinema Charts September 22 2017. Tom Cruise’s American Made appears to be fading fast dropping to number ten after five weeks inside the top 10 films. This week also see a new number one with Kingsman: The Golden Circle. Box office revenue over the weekend was mighty impressive taking £8,525,664 which should please 20th Century Fox. There’s not too much movement on the rest of the chart with Christopher Nolan’s Dunkirk still clinging to its top 10 status at number eight. IT, Victoria and Abdul and mother! all drop one place following Kingsman’s arrival at number one. One of the new cinema offerings this week is Flatliners, more on that on Thursday.